B. Rocke Landscaping is proud to have a booth at Manitoba’s premier home show for the fifth straight year. Having won a “Best Booth Award” for the past three years, we invite you to join us on the third floor of the RBC Convention Centre in Winnipeg. 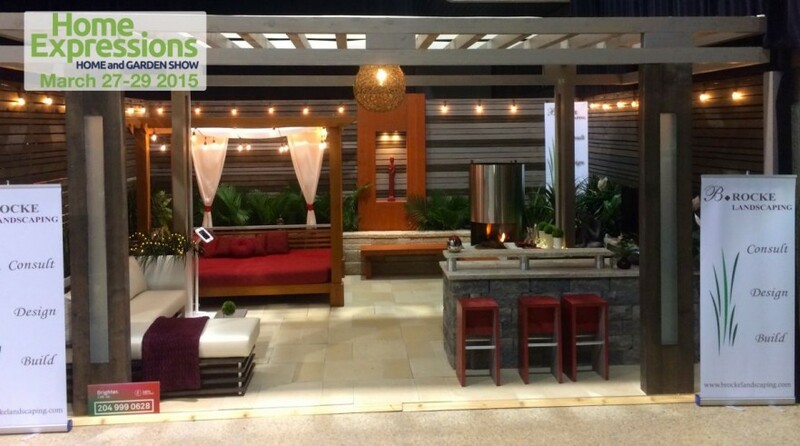 The 41st Annual Home Expressions Show runs from Friday, March 27 to Sunday, March 29th, 2015. On display will be our new modern pergola design, custom designed furniture, outdoor kitchen, and a Barkman patio with an Allan Block retaining wall. Ticket are $12, and are available at the door.